For Microsoft, 1977 marks the beginning of an official partnership between Paul Allen and Bill Gates, we hire our first official employee and the FORTRAN-80, Microsoft's second language product finally becomes available. An official partnership agreement between Paul Allen and Bill Gates is executed. 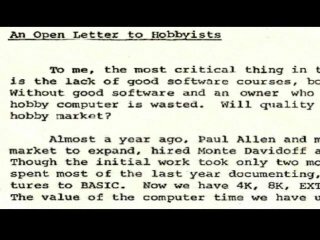 FORTRAN-80, Microsoft’s second language product, is available at the prices of $500 for an individual license. OEM licenses are available. 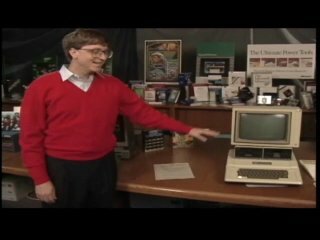 Microsoft receives new computers from Commodore, Radio Shack and Texas Instruments. The Albuquerque facilities are expanded by three new offices in the same building. 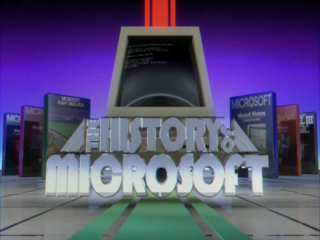 Microsoft terminates an exclusive license to MITS for Microsoft's BASIC product and announces availability of versions for the 8080 and Z-80 microprocessors. The 1977 Calendar Year revenue totals $381,715, headcount is 9. · Tandy Corporation announces the TRS-80® Model 1 microcomputer, which retails for $600 with 4K memory. 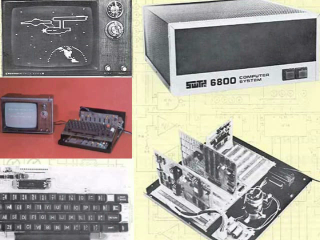 · Commodore Business Machines introduces the Personal Electronic Transactor (PET) computer. · Elvis Presley, the king of rock ‘n’ roll, dies. Star Wars, a blockbuster high-tech movie directed by George Lucas, costars robots R2-D2 and C3PO. 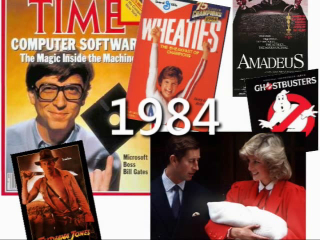 *note, the archive footage from Bill Gates was filmed November 30 and December 1st of 1993 not 1994. It has been corrected in this episode and will be for 1975 and 1976 as well. I didn't know they had widescreens back then. I guess wide screen is a relative term. Can you please start naming the download files for series (all channel 9 series not just this one) with something alphabetic like 1977 - HistoryBlaBlaBla? I am downloading them to watch them later and sometimes it is a mess so I've started renaming them myself. Let me see what we can do about that. 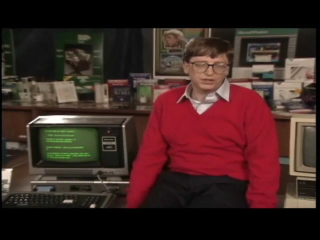 I really love these videos, but the aspect ratio of the Bill Gates interview is still wrong. It is hugely distracting for me and detracts from the video. These videos make me feel like I'm still at Disneyworld (just got back last week). Especially the theme song. It's like I'm riding through the golf ball at Epcot and each room is another year of Microsoft. I hate it when videos have the wrong aspect ratio. It's too distracting for me to watch. I also hate pointing it out because I don't want to come off as someone with Asberger syndrome. But this is the third episode I can't watch because of this measly flaw. I notice it too but I'm assuming they would have to re-edit the whole thing again to fix the problem because only parts of it are wrong. If the entire video was wrong then it would be easier to fix. Just keep 'em coming boys and girls, you have one viewer over here who can't get enough! Well, that's very cool vedio and Awakened my memory when I was a child..
its gonna effect negativly to ur browser man!